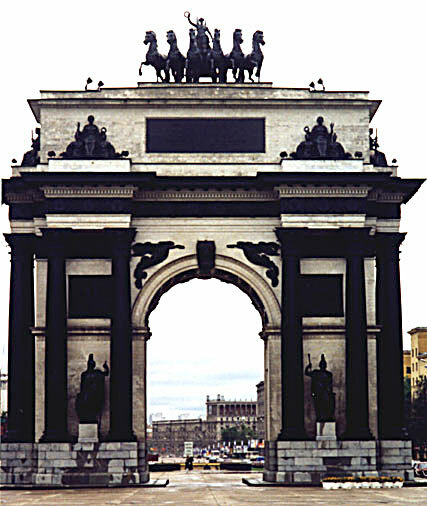 The Triumphal Arch commemorating Kutozov's victory over Napoleon in 1812-13. The arch is now located on Kutuzovski Prospect in Moscow between the Borodino Panorama Museum and the World War II memorial museum. It was originally located on Tver street but was dismantled and rebuilt years later at the new location.